Respectful Workplaces — Praxis Performance Group Inc. Respect begins with knowledge, and grows into culture. The Praxis Process begins with Respectful Leadership, and engages every level of your organization in the acts of learning, professional development and personal growth. View our introductory video on what constitutes workplace bullying and harassment, and what your employer obligations are. The video also helps you to be compliant with WorkSafeBC legislation around training your employees. Respectful workplaces are high performance workplaces. Pride, productivity and profit all grow with Respect. Be the organization that commands it. Respect is a profit multiplier. 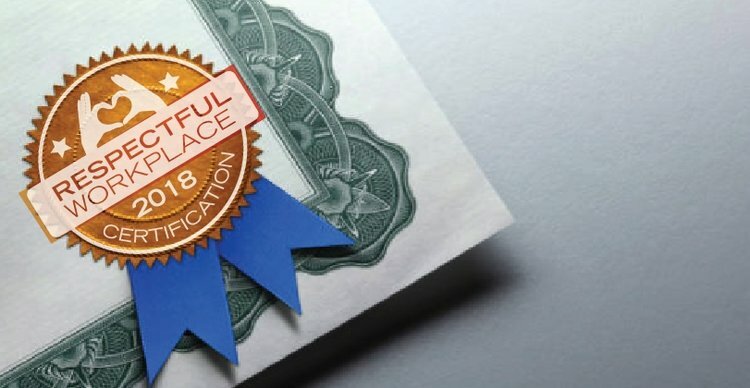 Respectful Workplace Certification may be the most important recruitment tool an organization has in the modern era. Praxis makes it a painless and highly rewarding process. Building a Respectful Workplace is an investment in talent, productivity, employee retention and growth. A Respectful Workplace Certification will lower your ongoing recruitment costs, improve productivity and drive increased margin and profit. It is also an investment in culture, morale and service that pays enormous dividends in customer and client acquisition. The most relevant and important differentiator a company can possess in today’s business and consumer climate is not the kind of product they make, but the kind of values they demonstrate. Trust drives all transactions, is shared widely, and in most industries is responsible for more than 50% of consumer decisions on which company to buy from. The market share and profit multiplier from Respectful Workplace Certification is based on trust, and on aligning your values with those of your customers. Praxis has created a modular, customizable process to reflect the varying needs and capacities of organizations of every size, while remaining true to the core pillars that define a Respectful Workplace.